Call 702-294-8900 now to learn about our tree and landscaping services in Las Vegas, NV and the surrounding area. Looking to Remove unwanted Trees? Hire our experienced tree removal and tree trimming company today! 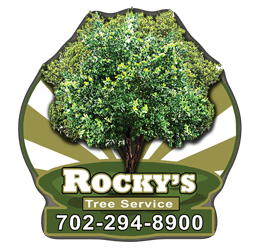 If you need tree or landscaping services in Las Vegas, NV, choose Rocky's Tree Service. You can depend on our experienced crew to handle all of your tree removal, tree trimming or stump removal needs, no matter how big or small your project might be. our crew can remove trees of all types and sizes safely. our team is equipped to maintain a variety of trees, including palm trees. our contractor uses specialized equipment that's tough on stumps but gentle on your yard. Don't choose just any contractor for tree services. Contact Rocky's Tree Service today to get started on your landscaping project. If you need tree removal, tree trimming, or stump removal services in Las Vegas, NV, the pros at Rocky's Tree Service are prepared to help. When you call, Rocky will answer. There is no job too big for us. You can rest assured that your property is in great hands. We offer free estimates on all our tree and landscaping services. You can trust us to exceed your expectations with unbeatable customer service and top-notch craftsmanship. Copyright © 2019 Rocky's Tree Service, all rights reserved.